"I have been trying to access my USB flash drive on Samsung Galaxy S6 using OTG cable, but it seems that OTG cannot detect the flash drive. I’m sure my OTG cable is working because it works well when testing with a mouse. How can I solve the OTG is not working problem?" Previously, we have discussed how to watch movies on USB disk by connecting Android phone and USB pendrive with OTG cable. In the process, some complain that the computer doesn't pop anything after connecting OTG USB or the system does not detect OTG USB signal. In this post, let’s see how to fix OTG cannot detect USB. Backup your USB drivers first. Then, follow the steps below to check whether the format of your USB drive file system is supported by your phone. STEP 1. Connect your external hard drive to your computer with the USB cable. STEP 2. Click "Start" and then click "My Computer". In the "My Computer" window, right-click on the drive icon in which the USB device appears. STEP 3. From the menu, click "Properties". Look next to "File system"; Windows will indicate whether the drive is NTFS, FAT32 or exFAT. STEP 4. If the file system is NTFS or exFAT, you should format your USB storage device to FAT32 to make it recognizable for OTG. Follow the instructions below to format your USB drive to FAT32. If the file system is FAT32 but the OTG still cannot detect it, try another USB drive to see if it works. If other USB drive works normally, maybe your original flash drive is corrupted or damaged. Just change it. STEP 1. Connect USB device to the computer and then click "My computer." STEP 2. In the "My Computer" window, right-click on the drive icon in which the USB device appears. From the menu, click "Format...."
STEP 3. In the "FORMAT device name (drive letter)" window, under "File system," click the drop-down arrow and select FAT32 and then click the Start button. STEP 4. At the "WARNING..." message, click "OK" to continue. IMPORTANT: Formatting the USB storage device will delete all content on the device. So you must backup it first. STEP 5. At the "Format Complete" message, click "OK". When you have reformatted your USB drive to FAT32, try again to connect it with OTG. Probably you'll succeed. If you encounter any problems during the process, do let us know. Above is the whole solution to fix Samsung S8/S7/S6/J7/J2/C9 OTG not working problem. If you have any question about it, please drop us a comment below! Hello Jester, you can try these too. 1. Try another OTG cable. There are many OTG cables of questionable quality out there. Some that work in one device will not work in another. 3. Reconnect your USB disk. I really neeed your help pls. my samsung a5 2016 can’t recognize any OTG cables/USB. I did something bad. before it still works now it won’t. because i did some experiment, I tried to put my external hard disk on my OTG usb adapter and boom! now it won’t detect any. pls. help me what do I need t do? How to fix this? Maybe it is because that your OTG cable/external hard disk is corrupted or damaged. So change a new OTG cable to see if the problem can be fixed. Or try a new USB disk. Some users find that restarting their phones can fix the problem, too. Tried all format none worked also otg cable working fine while testing with a mouse. Restarting didn’t fixed it. It was working fine yesterday though. Plz help.. If you are using OTG to connect your USB device, the USB device needs to be FAT32 format. If you have tried it in FAT32 format, it could be that your USB driver is corrupted or damaged. Change other USB drive and see if it works fine. Hope this could work out. my USB driver is corrupted or USB drive?? and the drive is working on pc but not in my mobile. If the drive is working fine on PC, then your USB drive is fine. You can try apps like OTG Troubleshooter, OTG disk explorer to solve the OTG connectivity problem. Click here for more information. no usb device detected in Linux. no usb device detected in Android. it was working fine i didnt get why it stoped working i did nothing..
so i got a new moto x style with marshmallow. it doesnt seem to recognise my sandisk otg device through its own micro connector or an external otg cable. The drive is fine as it works on my comp. The cable is fine as other drives do connect to my phone. Whats the issue here? 1. Like it is mentioned in the post, it could be that your sandisk is in NTFS or exFAT format while OTG can only detect device in FAT32. Check if the drive is NTFS, FAT32 or exFAT. 2. Your sandisk is incompatible with your Moto X. Check what version of USB your mobile support. If it supports only 2.0, then there is no use of OTG version 3.0. OTG cable is designed to connect USB devices, mice or keyboards to smartphone or tablet. So if you want to connect external hard drive to computer, it is better that you use USB cable that is suitable for your external hard drive. Firstly, really make sure that both your OTG cable and USB drive are working fine. Then you can get apps like OTG Troubleshooter to check the OTG connection problem on your phone. same problem,I have a temporary solution which works on my j2.Just remove and put battery again,it works for me. but my otg usb working an other andriod phone well.suddenly this is not work on my samsung a5 2016.how to i solve it well?? Some users reported that the ROM of some models of Samsung A5 doesn’t support OTG: otg support for Samsung A5. Maybe the phone is the problem. I have a Samsung Galaxy On5 & the otg cable doesn’t seem to be connecting to the phone even though it says ”Fat32”. Does anyone know what might be the problem? Have you tried any OTG troubleshooter to see if the cable is connected? This kind of app can check if the cable is good. my OTG port is now working!!!!! https://uploads.disquscdn.com/images/0de14e6e61a91600ac1f3e7e64773c019577772a94a75ca1dc6bc574b4025559.png Hi, is this applicable with ios? Or only android? I have otg for ios but mine doesn’t read in my phone. But when I plugged it on my computer, it works. Hi, what version of iOS are you using? And which iPhone are you using? It does not prompt anything when attached in my ip7! Were you born a cocksucker or was it something you had to work on? Hi. If the solution doesn’t work, the problem is not on the USB drive but on your OTG cable or device. Please make sure that OTG cable is workable. And you can try apps like OTG Troubleshooter to identify the problem. Hi. If the solution doesn’t work, the problem probably is not about the USB drive. Since the phone stop working after the update, it could be bugs on the ROM. Or some users fix the problem with ES Explorer app. When plugging the OTG cable, open the file manager and grant the required permission. My Zephyr z752c doesn’t recognize my flash drive after following your recommendations above. Time for you to go back to the drawing board. Hi. Please make sure that the ZTE Zephyr is OTG supported. Please download apps like USB OTG Checker to have a check. And also make sure that the OTG cable is working. Hi, I have a SanDisk 32GB Ultra Dual USB Drive 3.0 and a Samsung Galaxy S6. I have checked with your recommendations above and the flashdrive is formatted as a FAT32. When I plug the male microUSB into the phone however it fails to recognize it. The screen lights up like it knows something is plugged in (like it does when it is plugged into the charger) but the file manager does not recognize any external source of storage. I have also downloaded SanDisks app “Memory Zone” which also fails to recognize when the device is plugged in. Hi. Please make sure that the flash drive is working fine. Plug it in a computer to have a check. Also you can use apps like OTG Troubleshooter to check which part of the connection is going wrong. same problem I’m having nothing happens when I insert flash drive via otg cable, formatted to exfat still nothing happens flash drive and cable works in a j7 with no problems so I kno they are functional. Did the cable and flash drive work on your S6 before? Have you tried to run apps like OTG Troubleshooter see check what’s wrong? Try the OTG cable and flash drive on other device and see if they work. Maybe one of them is not working. I have s8 plus. I want to use ITG and want to connect usb. But my mobile is not responding to the usb. I followed all the procedures as mentioned. But nothing progressive. And yes i tried it on other devices. Help me out…. Hi. There are many possibilities. When connecting the USB to the phone via OTG, do you see anything? Also, make sure it is not a hardware problem: 1. connect a mouse or other usb drive to the phone via the OTG cable to make sure the cable is working 2. connect the USB and OTG cable to other mobile device 3. Also, it is said that Micro-USB connector does not support On‑the-Go (OTG) devices. And try other file manager such as Try ES file explorer. In my vivo v7 otg not recognising even if i on otg option in setting… Is there any programming files deleted from mobile??.. In another mobile otg working fine..
Hi, make sure your OTG cable is compatible with Vivo V7. Also you can try some OTG troubleshooter app to diagnose the problem. 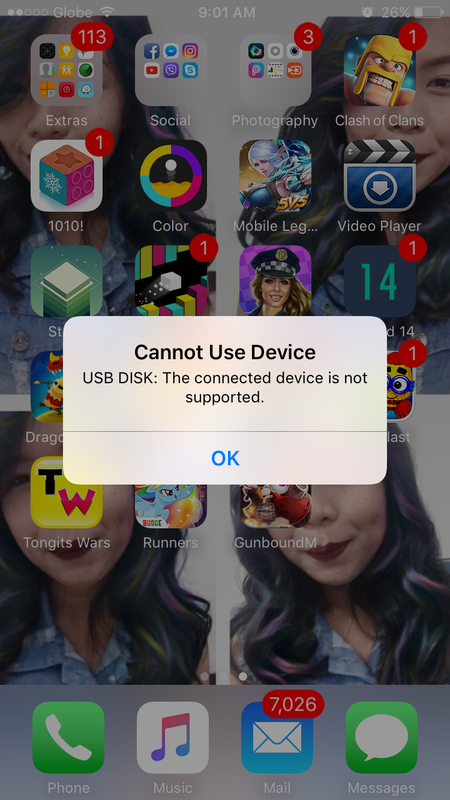 Hi i have a vivo y53 and its otg supported my usb drive cant be detected although my otg cable works in other phone…. ive also formatted my usb drive and still it doesnt work. My USB pendrive used to work fine on my cubot echo a year ago. Then the same phone just randomly stopped detecting the pendrive. The drive still works when I plug it in to a computer, and I formatted it to Fat32 twice. It doesn’t detect on other phones anymore either. Hello ! I have redmi 4 it is OTG supported and it use to work properly before. But now my phone is not detecting the OTG. And when I tested the same pendrive and OTG with other phone it worked. Guys please help me. The problem is that every time I format my sd card in my camera the problem is back.. Why cant I install support for Nikon file system in my android phone?? There is no support for Nikon file system on Android. SD cards use FAT, FAT32 or exFAT file system formats, which Android supports. If your Nikon SD card cannot be recognized by Android via OTG, check if the OTG cable is workable and if your Android phone supports OTG.